We want to be connected all the time - either to chat with friends on Facebook, swipe Tinder, write emails or work. Sometimes, especially while traveling abroad, mobile data rates are over the roof, and we search for available free WiFi hotspots. Do you know you can install an app which gets you free WiFi anywhere you go? There are many connectable devices, but usually, people use smartphones, laptops, iPads, etc. According to the study, more than 8 in 10 internet users will use a mobile phone to access the web regularly. We’ve put together a few tips on how to get free WiFi anywhere and stay safe while surfing unprotected networks. 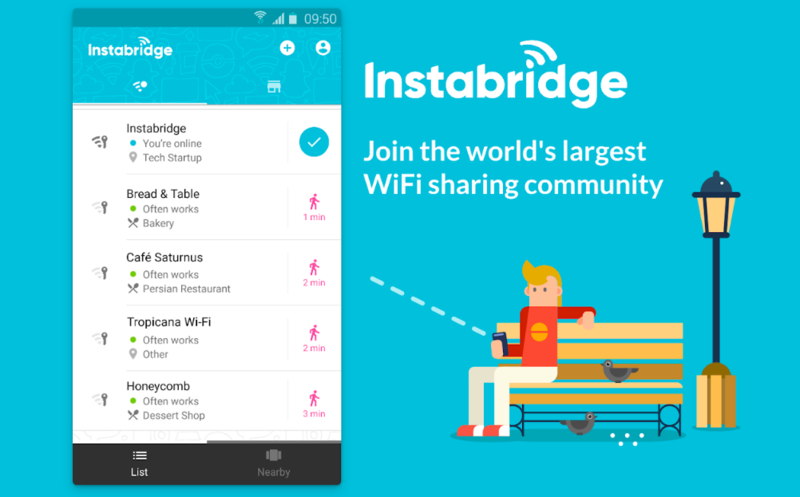 Aside from the usual methods – like going to McDonald’s, Starbucks, hotels or other popular spaces often offering free WiFi; or asking your friends to share their hotspot, is to get an app that has a database of WiFi connections. How do they work? All of the apps below have the same function – they find passwords of open or not fully protected networks. Usually, the content is user-generated – meaning that users themselves add and share the credentials of the available networks. Like other apps, WiFi You gets regular updates. 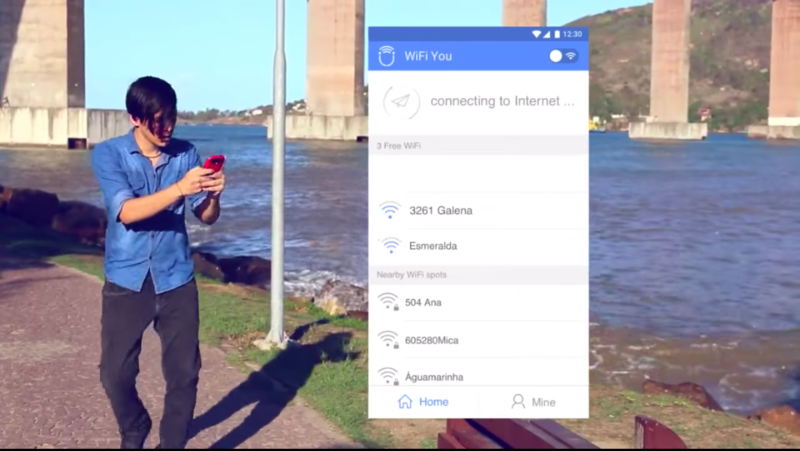 The app lets you connect Android devices to free WiFi networks. It has a database of 20 million hotspots. 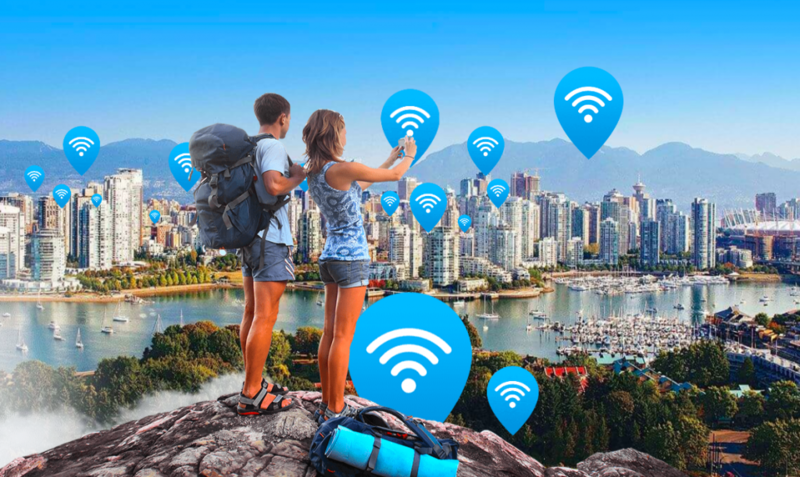 Wi-Fi Free Spot offers you a list of every available public location (by state > city/town > place). You’ll need an internet connection to access the directory for the first time. Don’t get fooled by their a little out-dated design. Find it here. 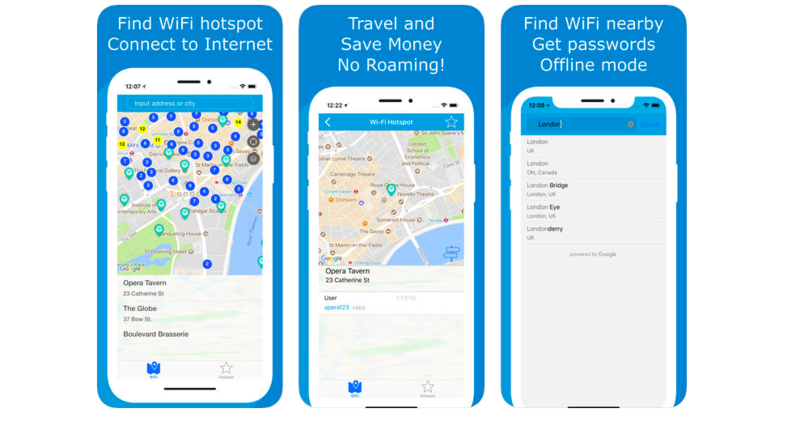 This app offers a significant amount of free WiFi spots all around the world – hotels, airports, towns, and villages. You can download an offline free WiFi map, but for this, you have to pay a little extra for a premium account. WiFi Map also lets you share your internet with Facebook friends. For Android, for iOS. The app scans for free as well for password protected networks. If you wish to contribute to the database, you can send login data to the developers as well. For Android, for iOS. Instabridge has a vast database of up-to-date passwords, and lets you contribute to the content as well. You may also connect to your Facebook friends’ hotspots or public connections. For Android, for iOS. WiFi hotspot free for Android offers high-speed and secure connections. SsWifi is an easy-to-use app, and setting it up doesn’t require any technical knowledge. For Android. Osmino. For Android, for iOS. WiFox (developed for those who spend a lot of time in airports). For Android, for iOS. Open Signal. For Android, for iOS. Fon, a global network, offers its users to purchase a router and split the bandwidth – the majority is for the user, and what’s left – for nearby Fon users or even their Facebook friends. Skyroam, which is very similar to Fon. The company offers travel hotspot Solis, which works in over 100 countries. Users pay a fee and get access to unlimited data. If you’re still looking for more, and apps or other common methods don’t seem to please you, there are other options. Technically. Getting free internet from the cosmos is possible! 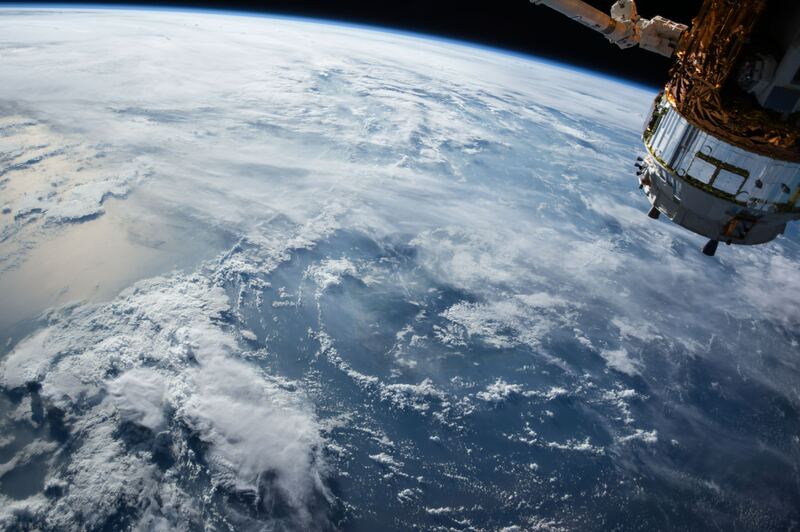 Earlier this year start-up Quika launched the world’s first entirely free high-speed satellite internet for developing countries in the Middle East and Africa. Other than that, satellite internet is more of a theoretical possibility than a realistic one. While in theory, it’s possible to get free satellite internet access, but only for a short time. This is because satellites aren’t magic. They are as expensive to build and as they are to launch. The prices vary from $50 million to a high of about $400 million. However, before you jump in, take into consideration that open WiFis are a double-edged sword. Indeed, free WiFi comes in handy. Especially, if you’re traveling abroad where 3G or 4G tariffs are too expensive, and getting public WiFi is just one-click away. Bear in mind, that open internet networks are a goldmine for the prying eyes. The tools to sniff your online activities don’t have to be sophisticated. All the traffic within an open WiFi network is usually unsecured, meaning it doesn’t use proper encryption to protect your internet data. Hence, your sensitive information sent via unsecured WiFi network (such as credit card numbers, passwords, chat messages) becomes a relatively easy target for malicious agents. Even password protected networks are full of dangers. It turns out, it’s fairly easy for someone to listen in and capture your data when you’re on public WiFi. In fact, it’s so easy; there are tutorials on how to catch data on open WiFi on Youtube! There are many methods to exploit free WiFi networks. Some of the most-known is the so-called man-in-the-middle (MITM) attacks. Cybercriminals will create their fake public network. In most cases, the name will be similar to a name of the place with access to a public network (like a restaurant or hotel) nearby. Then, hackers will snoop on your private information and target data on your devices. On top of that, hackers can install packet sniffing software. It is particularly dangerous because it records massive amounts of data which later can be processed on their demand. The dangers double when you connect to free WiFis using free apps. They might give hackers easy access to your personal information. You know what they say – if you’re not paying, you’re the product. Some of the apps, can track you even if you uninstall them. Avoid automatic connections. Malicious agents create fake networks to phish for your data. If you always allow automatic connections, this makes their job easier and faster. To avoid this, always confirm authenticity. Create dedicated accounts. Sometimes free WiFi networks ask for your credentials. Usually, the providers gather users’ data and then sell it to marketers. Create a separate email account for such purposes. It’s safer, and you can avoid all of these spam messages afterward. Did you know that free global WiFi isn’t a new concept? One of the greatest minds in history, Nikola Tesla was dedicated to building a tower that used natural frequencies and transmits data – including information communicated via images, voice and text messages. Basically, it was the first effort to develop wireless communications. 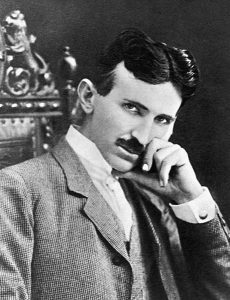 However, while some claim free energy could be utilized to form a world wide web connecting people across the globe, others argue there’s no direct correlation to his research to propose Tesla had any working theories of wireless computer networking. Ironically, there’s a statue of Nikola Tesla in Silicon Valley providing free WiFi to visitors.